The 21st century has seen a quantum shift in the way people spend their leisure time. 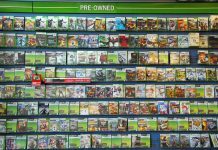 While gaming was once seen as a pastime for teenagers and “computer geeks,” in the modern era, it is a part of life that we all enjoy. 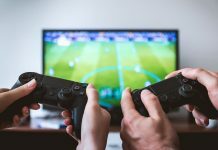 Anyone under the age of 50 has grown up with games as a part of everyday life, and the global gaming industry is something that is growing exponentially year on year – quite simply it is as routine an aspect of the average millennial’s leisure time as watching TV or reading a book. Of course, the types of games have evolved too. 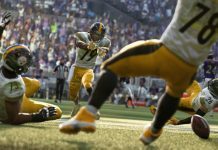 Most sports fans enjoy games related to their favorite sports, and the industry has been quick to pick up on this and meet demand in a range of imaginative ways. Arcade style sports games are nothing new, and become more realistic and immersive with every evolution. There is also predicting sports, which seamlessly brings together aspects of fantasy sports and the sports fan’s eagerness to feel more involved in his team’s performance by “putting his money where his mouth is”. All these aspects are fine in their own way and have a dedicated, and growing, following, but a new aspect, almost a game within a game, has evolved over recent years. This is the Esports sector. If you are highly skilled at pool, golf or even chess, there are plenty of opportunities to develop your skills even further by playing against other like minded individuals. The chances are you will get involved in local leagues and if you still keep winning, you might even turn professional and convert your hobby into a profitable career. 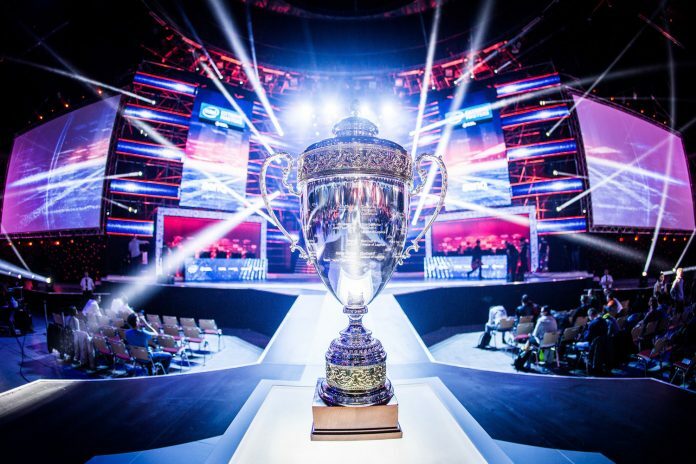 Esports give gamers the opportunity to do exactly the same, and show how good they really are by pitching themselves against the best in a competitive environment. The concept is not as recent as you might think. The first recorded Esports event took place 45 years ago, when students from Stanford University were invited to participate in an “intergalactic spacewar Olympics.” A decade later, Atari launched the first ever Space Invaders Championship, and attracted more than 10,000 participants. Of course, the concept really gained traction with the rise of the internet, providing far more opportunities for people to compete in Esports without having to leave the comfort of their homes, and in the 1990s, Nintendo launched a series of world championships (although like the World Series of baseball, this was a slight misnomer as it focused heavily on the USA). The next major step in the evolution of Esports came from a surprising direction. When South Korea launched its government-backed program to get the whole country online at the turn of the millennium, it led to a surge in the popularity of Esports. This was possibly because the mass connectivity was aimed at leading the country out of recession, and the large number of unemployed had little else to do but take the opportunity to play online games using their newly acquired super fast broadband. 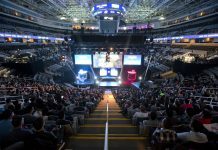 Over the past ten years, the rest of the world has largely caught up with South Korea as far as connectivity is concerned, and the Esports scene has hit a period of boom. Investors have been quick to see its potential and predict that it will become the next billion dollar industry. As a result, everyone from serial investors to former sports stars like Joe Montana are keen to get a piece of the action. As we mentioned earlier, one of the ways in which technology has enhanced the everyday sport fan’s enjoyment is with the ability to predict their favorite events. This includes the obvious, such as predicting winners and scorelines, but also peripheral topics, for example what players might transfer to other teams during the off season. 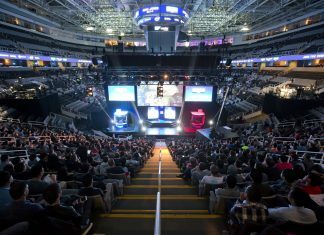 Industry insiders have been quick to realize that Esports are not all about the participants, but that there is a fanbase and a spectator market to tap into as well. As is so often the case, where one gamer spots an opportunity, a host of others follow, and this is good news for the gaming community. As you can see from the Gamerbetz reviews on eSports bookmakers, each one has different introductory offers such as welcome bonuses. Whether you are a player, spectator or investor, this is an exciting, and potentially lucrative, time to be involved in Esports. And perhaps that is the biggest differentiator compared with conventional sports. For golfers and footballers, only one in a thousand can realistically hope to make money from their hobby. In Esports, the chances are far better. And that has to be good news for everyone in these economic times. I think I’ve seen a live stream of eSports but I wasn’t sure what I was watching at the time. It looks like fun. It sure can be! It’s more interesting when you know who are playing! It is becoming more of a professional work so what’s more fun than playing games and earning big time money. If you are going pro then that’s one of the decisions that you have to make. E-Sports is the best specially the casters making it more lively. The casters can bring insight to those who are watching and it does make the experience more enjoyable. It sure seems like that Esports scene has grown since the first time i heard about it and it sure is fascinating to watch professional players to play games with actual stakes so it makes it more serious and exciting. I don’t really watch Esports of any kind live but i check matches and highlights from Youtube when i want to. Yea sometimes i’ll watch the highlights as well but i never have the time to watch them in full. Same I only watched the fighting scenes. Was watching Esports few years from now and i liked it, all those League of Legends championships i watched made me actually learn more abot the game and helped me understand pro players. Ogre Empire: Free Online Fantasy Game That Swings A Mean Club!